The seven secrets of success in book marketing. Your 5 basic distribution options, with their strengths and weaknesses. How to create a national bestseller without breaking the bank. How to use new technologies to promote and sell your books. Learn how to sell books via your website, Web 2.0, blogs, podcasts, ezines, wikis, and more! How to book yourself on local radio shows that you can appear on from the comfort of your home! How to get on Oprah, Amanda Lewis, Montel Williams, The Today Show, Good Morning America, and other national TV shows. How to sell rights to your books--mass-market paperbacks, book clubs, foreign rights, serial, multi-media, and other rights. How to sell quantities of books to mail order catalogs, premium buyers, and other special markets. How to use the 5x5 Matrix Marketing System™ to sell more books! How to discover and implement the best marketing strategies for YOUR book. I attended one of John's weekends and it was great! This is especially helpful for self-published authors and small publishing companies. Tips, tricks and tools for free publicity. Joan Stewart, a media relations expert, shows you how to use free publicity to establish your credibility, enhance your reputation, position yourself as an expert, sell more products and services, and promote a favorite cause or issue. This site will give you some great ideas about how to publicize your writing, book, classes, or web site. There are dozens of free articles as well as 47 "Special Reports" that can be purchased for $9 each. Jill Lublin is an international speaker and the author of two national best selling books, Guerrilla Publicity (which is considered the PR bible and is used in university marketing courses) and Networking Magic (which went to #1 at Barnes and Noble). Let's face it; everyone needs effective public relations techniques in order to be a success. I took a class with Jill and she was energetic, enthusiastic, and a fabulous font of useful and important information. Keep these cities in mind when scheduling a book tour or deciding where to run ads for your book. If you're selling your book online, you're practically guaranteed to increase sales by publishing an e-mail newsletter, or "e-zine." Why? Well, for a start, it's a super way to give readers a taste of your expertise and style along with samples of your content. This ensures they'll come to be familiar with you, trust you, and hopefully buy your book when they're ready for more information. Also, it's a great way to *capture prospects* who aren't ready to buy your book when they visit your site, but are still interested in the info you have to share. Based on my own experiences in marketing my manual, Boost Business With Your Own E-zine, here are 7 ways to help increase book sales using an e-mail newsletter. 1. First thing: Encourage e-zine SIGNUPS on your Web site where you promote your book. Before you even begin publishing, start collecting e-mail addresses. Place a signup form in many places on your site to invite visitors to subscribe to your free e-zine. This way, if a visitor isn't interested in buying your book today, she can sign up for your free e-zine. Now you haven't lost her, and she'll learn even *more* about your book from being a subscriber. E-zine publishers also report GREAT signup results using pop-up and pop-under boxes at their Web sites. Examples: On my main site, http://www.ezinequeen.com, I feature a signup form on EVERY page, as well as a pop-up box. On my book sales site, http://www.ezinequeen.com/tutorial, I have a pop-under box that appears once you close the main window. Remember: NEVER sign anyone up without her permission! 2. Feature EXCERPTS and/or TIPS from your book in your e-zine. These can be either direct excerpts or short tips that summarize some of your content. Go through your book and highlight individual tips or small sections that could stand well on their own. Just don't give away the whole store! For example, giving your readers a whole chapter of your book in each issue is going overboard. Besides lifting material directly from your book, try some other spins on your topic such as a list of top 10 tips, a how-to article, a list of resources, or a review of a trend in the industry. Example: One of my clients, a life coach, has a hardcover book out right now that features 101 tips on how to attract what you want in life. Each issue of her weekly e-zine features one of those tips, along with a brief explanation of how to implement it. 3. Directly after your article, give a quick PROMO BLURB that shamelessly plugs your book. Why right after the article and before anything else? If someone reads your article/tip and says to themselves, "Gee, that was great information," they'll be ready to hear what else you have to share on that subject. Really pump it up and have a good time with it. Example: "Did you like today's article? If you did, you'll LOVE my new book, 'Double Your Business in Six Months.' It's jammed with more than 257 great ideas to help you grow your business FAST. Learn more and order now at [Web address here]. You can begin using my best tips within minutes!" Example: "What 'Beauty Blastoff' Readers Are Saying: 'I can't tell you how much your book has helped me improve my appearance. Thanks to your tips, I've lost 20 pounds, cleared up my skin, and rid of all my unwanted hair. Now my rich ex-husband even wants me back. You're a saint!'" ? Suzy Smitten, Los Angeles, Calif.
You know what a signature (or "sig") file is, right? It's that little blurb with contact info that you can automatically insert at the end of every e-mail you send. Besides your obvious contact information, give a quick plug for your book AND e-zine. Example: Here's what I have at the END of my sig file, after my contact information: "BOOST BUSINESS by publishing your own e-mail newsletter! Learn how now--sign up for free how-to tips at http://www.ezinequeen.com." (c) 2000-2005 Alexandria K. Brown. All rights reserved. Alexandria K. Brown, "The E-zine Queen," is author of the award-winning manual, Boost Business With Your Own E-zine. To learn more about her book and sign up for more FREE tips like these, visit her site at http://www.ezinequeen.com. According to Alexandria K. Brown, “The E-zine Queen,” author of the award-winning manual, Boost Business With Your Own E-zine, "if you're selling your book online, you're practically guaranteed to increase sales by publishing an e-mail newsletter, or 'e-zine'." Because "it's a super way to give readers a taste of your expertise and style along with samples of your content. This ensures they'll come to be familiar with you, trust you, and hopefully buy your book when they're ready for more information. Also, it's a great way to capture prospects who aren't ready to buy your book when they visit your site, but are still interested in the info you have to share." 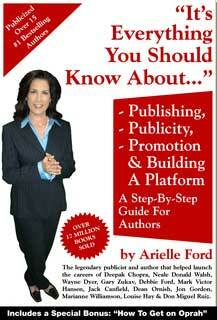 The foolproof ways to get published… She’ll show you exactly what publishers want, and how you can deliver it. The insider secrets to promoting your book… these are the same strategies she’s used to help sell more than 15 million books. How to launch yourself in the media… this is how she gets authors on shows like “Oprah”, “Good Morning America” and “Larry King Live”. The truth behind building a platform… She'll show you how famous authors really make their money - and it's not from book royalties. A war chest of tools… including letters, press material and contacts that have taken her 15 years to build. Arielle holds a special place in my heart, because she published two of my stories in her anthology, Magical Souvenirs, allowing me, for the first time, to hold a book in my hands that had my writing and byline in it. 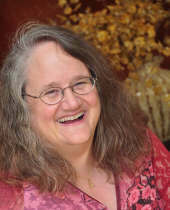 Arielle also holds a special place in the book industry, because of her talent, ability, and success at promoting the books of spiritual and self-help authors, including 11 who made it to No. 1 on the New York Times Bestseller list. Let her help you to do the same. The I AM Foundation gifts tens of thousands of books to low-income families and nonprofit organizations who work with them. The majority of books are gifted without any charge at all to recipients. Some of our current international best-selling authors include Marc Brown "Arthur", Byron Katie, Dr. Catherine Ponder, Alan Cohen, Marshall Rosenberg, Ph.D., Diane Harmony, John Assaraf, and Scott and Shannon Peck. Musicians include Craig Chaquico (Smooth Jazz/Jefferson Starship), Pamela Galadria, Dean Evenson and Tom Barabas (both from Soundings of the Planet), and singer-songwriters Steve Ducey and Eric Hansen. By gifting educational material for eight years, founder Steve Viglione and The I AM Foundation have come to witness the power of placing a book, tape or CD in the hands of those in an intended audience. We have set up three programs for authors, publishers and musicians who may choose one or all in which to participate. The power of word of mouth is the richest form of marketing and advertising. You may wish to participate in our gifting programs if you have a desire to market your books, products and company, while at the same time giving back to the community and making a positive difference in the world. The I AM Foundation is an all inclusive organization and accepts products which promote the values of our company: integrity, honesty, trust, contribution, inspiration, love, beauty, creativity, harmony, compassion, play, spirituality, leadership, mastery, relatedness, experience, teaching, discovery and adventure.